One day Trevor, an Engineer, met Trina, a Graphic Designer. Trevor and Trina realized they had so much in common, their love of food (from hole in the wall restaurants to fine dining), traveling and fishing. They spent every waking moment together and were never apart. They captured the sights and special moments of their journey together and they realized their passion for photography. 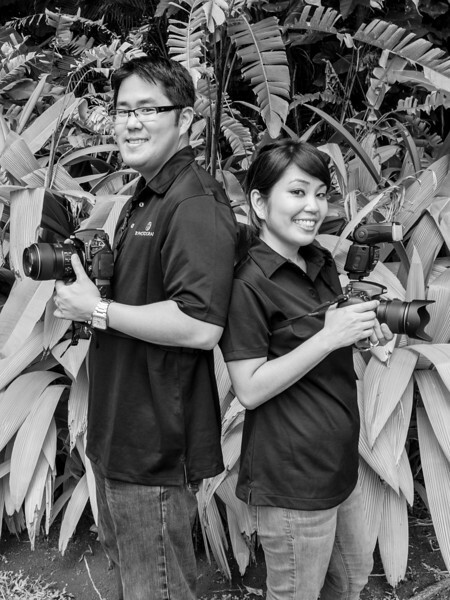 Their love blossomed into marriage and the creation of TI Photography. Life is about the journey of growing older and cherishing all of the moments along the way. We have been capturing those moments in our journey together and have realized that we love doing this and want to be there for your special moments as well… be it weddings, engagement photos, your child’s first birthday, family and pet photos… all of these events are special and we hope you will think about us to be there for you.